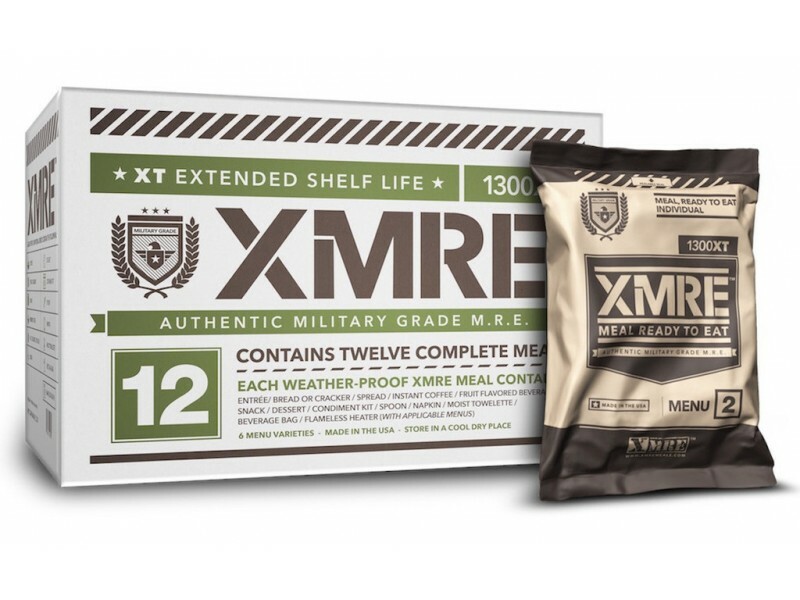 XMRE12H - Military MRE Grade - 12 meals with heaters. 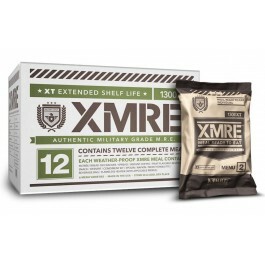 (Meal Ready to Eat - Military Type) Calories per meal : 1,300 Cal+ Average Calories per 12 Case : 15,600+ Cal Shelf Life : 5 years or more depending on storage temperature and conditions from date of pack Packing and Packaging : 12 Meals to a Case - 6 different menus per case Each complete X MRE Meal contains an 8oz (227 gr) entrée: 1 bread item, 2-3 snack/side items, 1-2 beverages, 1 accessory pack and a flameless heater. All components are packed in a military grade waterproof and tamper proof XMRE outer bag.